The recipient of the Gigmaster's 2007 and 2008 Rising Star Award, Mr. Langmaack's appealing vocals and piano playing add excitment and class to any affair. 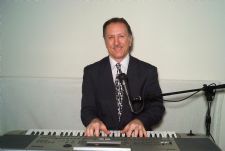 His music ranges from elegant solo piano to a full band sound for dancing and he is fully insured. He also uses recorded music to add to the evening's excitment when desired. He always performs at the correct volume and will work with you to design the evening's entertainment. Whether you want a high level of interaction from him or a more laid-back approach, his professionalism shines through! Performing the classic standards (Sinatra, Bennett, Martin), classic pop/rock (Elton John and Billy Joel, Eagles), 50's, country, disco and Latin music, (including Latin percssion) as well as Motown and top 40 dance music, he tailors your evening to your ideas. He can produce music from a full band sound to light or mixed cocktail music and music for your ceremony. If requested, he uses recorded music to add variety and appeal to a wide range of interests and can provide a dance coach for various line dances. 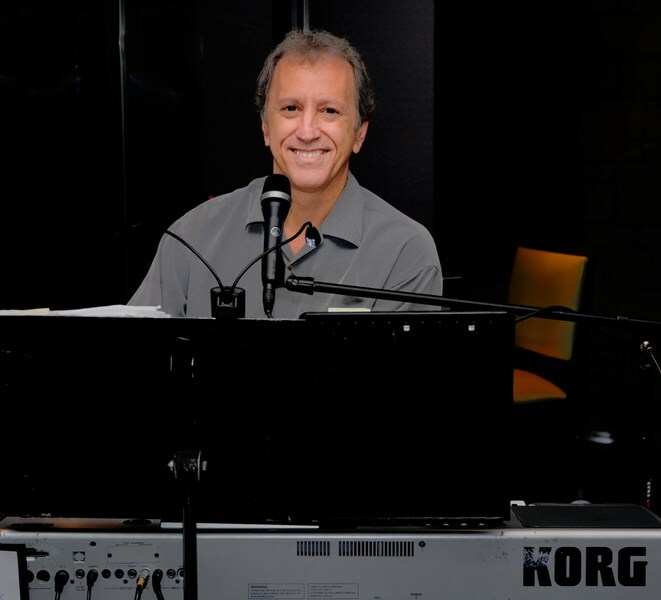 Having performed in the Tri-state area for over 25 years, Mr. Langmaack has performed with Helen O'Connell, Juilious LaRosa, and The Jimmy Dorsey Orchestra, and in the top bands and agencies for various affairs, including The Frank Bennett Orch., The Steven Scott Agency, and The Peter Duchin Orchestras. Tom also works with Mike, an excellent guitarist. See "Strings and Keys for more information if you would like a duo. Hear a few of our tunes in the songs section. Please see song list for a partial listing of songs. Tom was very professional arrived early and was playing as my guests arrived. He added wonderful ambiance to my party and was exactly what I had expected. Excellent communication involved prior to the event. I would definitely recommend Tom to friends and use him on future occasions. Thank you! OMG !!! Tom absolutely made the party a Hit !! He was so accommodating in every aspect of giving us what we wanted and needed to make it a great party !!! He even let me sing a few tunes !! He played for along time and sounded just as good in the end as he did in the beginning !! We danced to up beat music and kicked back when he played the Eagles and Beatles !! His list of music is plenty full !!! We loved tom and would definatly use him again !!! THANKS TOM !!!!! Tom knew exactly the type of music which would be appropriate for our event and several guests remarked on how good he is. Thank you Tom for coming out at such short notice. We'll definitely be booking him again. Tom was a consummate professional. He arrived early and was ready to go. There were no mechanical problems, no issues, nothing negative. He played beautifully, always augmenting and never overshadowing the party. 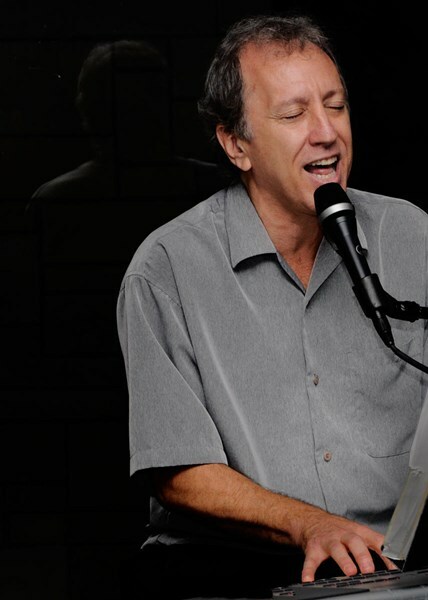 Tom also has a nice repertoire which is varied and offers something for everyone. I would not hesitate to have Tom at our next party. He's also a very nice guy. Thanks, Tom for making our party special. Hope to see you at the country club one day soon. Tom was fantastic. Everyone was dancing and having such a great time because of him. He even performed a duet with one of the guests. My husband said that is was one of the best days of his life and the entertainment played a big role in that. I am a caterer and will definitely recommend Tom to my clients in the future. We just had the most wonderful wedding ever, thanks in large part to Tom. He is a wonderful performer, friendly to our guests, responsive to our needs, prompt and courteous. Many of our guests went out of their way to compliment our choice of music and our wonderful performer. Thanks, Tom! Tom was very professional and added a special touch to our 60th Birthday party. He played a nice selection of music and our guests enjoyed him very much. I was very pleased with Tom working our event. He played exactly what I had discussed with him prior to that night and mixed in some music he found appropriate judging from the guests that night. The volume he played was so accomodating such we could enjoy the music and hear each other speaking without any problems. I have to say adding Tom to the party made the event a success. I am so pleased and happy that I decided to book him and got extremely positive feedback from all the guests too. In the future, I would consider booking Tom again and many of my guests expressed the same. All that attended the party were enjoying his music as well as restaurant customers !!! Free Balloons and Gifts for Children! Please note Thomas Langmaack will also travel to Avenel, Holmdel, Hazlet, Matawan, Plainfield, Cliffwood, Keyport, Summit, Whippany, Elizabeth, Middletown, Morganville, Keansburg, Lincroft, Orange, Pleasantville, Port Monmouth, Belford, Colts Neck, East Orange.